During Spring 2014, Mark and Elisabeth Michaelis, the owners of IntelliTect, took their family to Antigua, Guatemala for a vision trip analyzing business and philanthropy opportunities. While there, they toured both campuses of La Escuela Integrada, a school offering free education to children unable to pay the school fees required for Guatemala’s “free public education”. Many of these students live in desperate circumstances without access to clean water and limited access to daily meals. La Escuela Integrada provides these children with access to excellent education, as well as two meals a day, clean water, and life skills counseling. 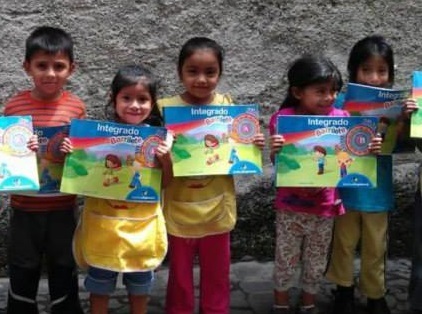 Without La Escuela Integrada, these children would most likely be malnourished, illiterate, and living on the streets. Many of their graduates have gone on to higher education and have started businesses in the neighborhoods near the school campuses. After seeing the clear impact this school has on hundreds of Guatemalan children, Mark and Elisabeth decided to become a major supporter of Escuela Integrada. In the past year, IntelliTect has helped pay teacher salaries, purchased textbooks for all the students in the school, helped purchase a school van for transportation and provided strategic planning support for the school administration.